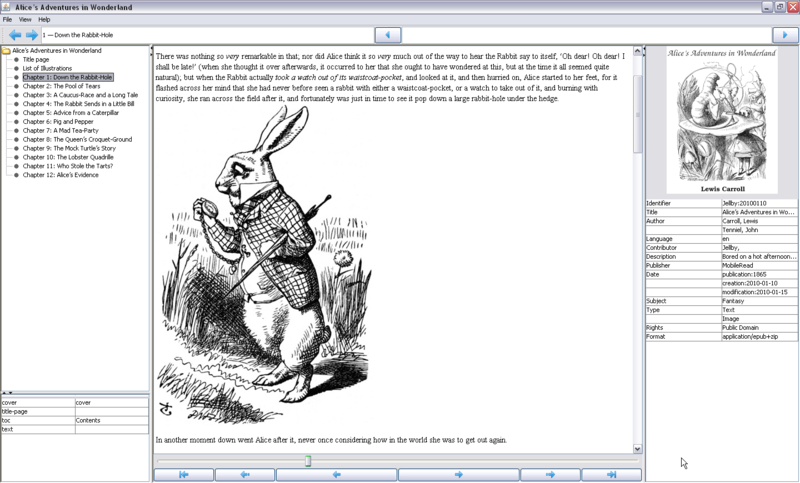 Epublib is a java library for managing epub files. It’s capable of reading and writing epub files programmatically and from the command-line tool. Epublib is a library that comes with a command-line tool as well. It’s intended use is both as part of a larger java application and as a command-line tool. Epublib consists of 2 parts: core and tools. Tools require a standard java environment. The core runs both on Android and a standard JVM. Has support for the spine, the table of contents and the guide. The api is designed to be as simple as possible, while at the same time making complex things possible too. Epublib tries to be as forgiving as possible when reading epubs and writes them as standards-compliant as possible. If you’ve created an epub by zipping up several html files then running it through epub will make it much more standards-compliant. For different epub readers the coverpage needs to be specified in a different way. Epublib tries several ways of extracting the coverpage from an existing epub and writes it in such a way that most (all the readers I’ve tested it on) display the coverpage correctly. The api supports the creation of epubs from scratch. See Creating a simple book example for an example.